Welcome Back Bubba Ray Dudley! [dropcap]I[/dropcap] know earlier today I posted my thoughts on the terrible ending to last night’s Royal Rumble event, but I’d be remiss if i didn’t talk about some of the really cool stuff that happened before Vince and the writers (I think we can probably just go ahead and call them “The Corporation” at this point) ruined everything with about a half hour to go. There were some memorable returns, like The Boogeyman and Diamond Dallas Page (how good did he look for a 58 year old?? 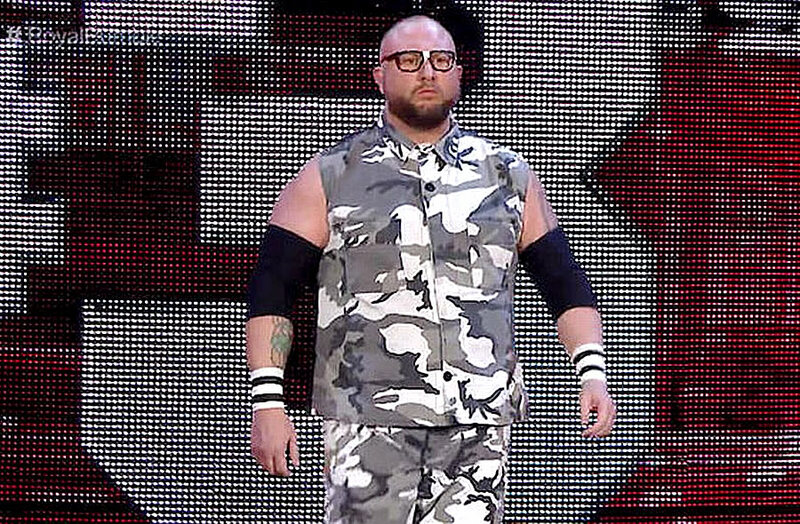 ), but by far the best was the return of Mark LoMonaco, aka Bubba Ray Dudley after nearly ten years away. Maybe it’s because the event was in Philly, but that was one of the loudest crowd pops of the night. Let’s take a look back at how it all came about. The first two entrants in the main event Royal Rumble match were The Miz (yes the guy that used to be on Real World) and R-Truth (he raps his own theme song!). While I’m a big fan of Miz’s heel work, that’s not exactly a duo to write home about. The really cool part came two minutes after Truth’s five minute long entrance however, when the familiar whistle of falling bombs came from the speakers and the Dudley Boyz Titantron video hit. The Philadelphia crowd went absolutely bonkers for their former favorite son (you old timey fans like me will remember Bubba’s amazing run in Philly’s own ECW). It was incredible. I had read on the rumor mills leading up to the pay per view (yes, I’m still calling it that), but I mostly chalked it up to something that was just coming up because the event was in Philly, and didn’t really think much about it. There were other big rumors too, like The Rock, but that one was pretty much cemented when “The Great One” tweeted a photo of himself outside of one of the famous cheesesteak places in Philly the night before the event. I didn’t think Bubba Ray would be coming back, mostly because of my own ignorance. I assumed the four time former WWE Tag Team Champion was still wrestling in TNA, where he’d been in the main event picture just a few months ago. It turns out that Bubba’s contract had expired in August, and TNA had not renewed it – possibly because they were in danger of going out of business after losing their television deal (they have since signed on with Destination America). Shame on me for not knowing that, but it did make the experience all the much better for me. It’s not often I’m caught off guard by something that happens in wrestling, but this was a really cool moment. It was a bit odd to see him do the famous Dudley Boyz moves – the What’s Up diving Headbutt, the 3-D and the old “Get the Tables” schtick – with R-Truth, and that made us all long for a similar return from fellow free agent D-Von Dudley, but LoMonaco seemed just as uneasy and confused by asking Truth to do the D-Von parts, so it really worked well. Although he eliminated both The Miz and R-Truth, Bubba’s run ended fairly quickly, which is a shame. It was still a great trip down memory lane. Unfortunately, from what I’m reading, this was just a one-off appearance by the 43-year old LoMonaco. That being said, it wouldn’t shock me to see him come back for a quick run. If 50 year olds like Billy Gunn and The Road Dog can still come out and look good on a semi-regular basis, why not Bubba? 43 is still young in the wrestling world. Here’s hoping we see him again real soon.